Last sunday, the people of China briefly came together in a loosely organized protest in hopes of sparking a Jasmine Revolution in their country. Unfortunately, the Chinese government worked swiftly and fiercely to crush the small uprising before it could gain any steam. The organizers of this event communicated through Twitter and other social networking sites active in Asia. 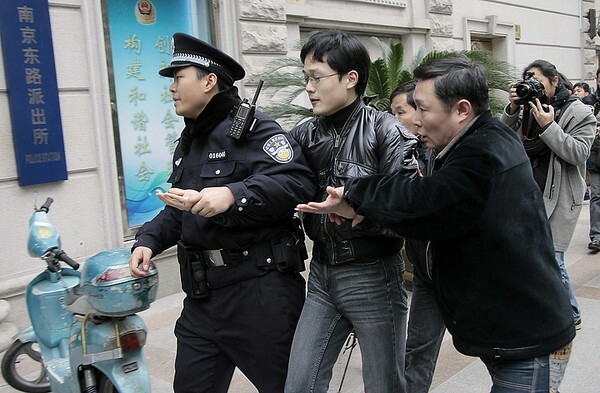 Initially, 13 protest locations were staged in different cities all around China. The participants were supposed to gather in these areas and stage their demonstrations. Instead, the areas were filled with police and government forces, waiting to see who would come out and protest. As a result, those who did show up and protest were arrested and taken away by the Communist government. Many lawyers and activists are still in government custody, while the whereabouts of the others are unknown. The protest last week was unorganized and easily quelled by the government. That is why this week, the organizers are asking the people to do it again. This sunday, like last week, the Chinese people are asked to come out and show their support for a free and democratic China. Not only that, the organizers are calling upon the citizens to do it every sunday, until a genuine movement can be achieved. What the democratic activists are doing in China right now has the potential to be big. Though the Chinese Communist government has a tight grip on the flow of information, their excessive use of force shows how terrified they are of what can potentially happen. Imagine if China, the biggest of the remaining Communist countries finally collapsed to the democratic movement, what that would mean for all the dictatorships across the world. The democratic movement in China is small right now, and as always, only time will tell if it can overcome the power of Communist totalitarianism. It is without a doubt that the Communist police are stationed in all of the protest locations, preparing to squash another uprising before it gets out of control. The police states of Vietnam and China specialize in crackdowns and repressions, so we’ll have to wait and see how this plays out. With that said, our moral and emotional support still goes out to all the freedom fighters out there. Democracy now! Here in the west, analysts like to talk about Vietnam’s rising economy and wealth, but what they fail to see is the plight of the Vietnamese people at the hands of the VCP. It is true that Vietnam is a fast growing economy, with an annual GDP increase of 7-8%. However, one should look at the life of the average citizen to get the whole picture. The Communist Party will do whatever it takes to sustain the country’s economic growth, even at the expense of the Vietnamese people. Land seizure has become an increasingly serious issue in Vietnam today, as the Party feels no remorse for taking land from the people to further enrich themselves. In the countryside, they capture the lands of the farmers to establish new plants and factories, polluting the waters and destroying their livelihood. In the cities, confiscate houses and homes in efforts to carry out new construction projects, even if it means leaving the residents homeless. The incident with Pham Thanh Son this week is just one example of many discontented citizens under the Communist regime today. Only days ago, a small gathering of about 500 people came together to protest the Vietnamese Communist Party and their corruption. Amazingly enough, these citizens have no idea about what’s happening in the Middle East and North Africa right now because government has censored the news so heavily. Even with all this censorship, the people in Vietnam can still see that there is something wrong with their government. If only they knew what was happening all around the Middle East right now, they will surely have the fire to invoke their own Jasmine Revolution in Vietnam. The Vietnamese people are waiting for a change, the only thing they need now is the information. The government knows this, which is why they’re censoring the internet with such extreme vigour. The clock is ticking though, the change will come. 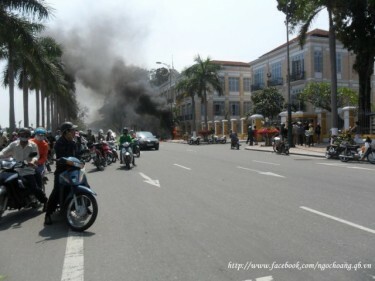 Several days ago, February 20, Pham Thanh Son, a Vietnamese man, set himself on fire outside Da Nang City’s municipal office in protest of the government’s confiscation of his home. Son is a Vietnamese engineer who, on many occasions, has tried to prevent the Vietnamese government from taking the land and property away from him and his family. Sadly, his pleas have fallen on deaf ears, and it seems that he has no way out. Son’s land has been unconditionally seized by the Communist government to make space for infrastructure and construction. The Communist Party could care less if what they’re doing results in the homelessness of their own people. All they care about is pushing their own agendas, eagerly waiting for the benefits that follow. At this point, the VCP is only interested in profits, even if it means taking away the livelihood of defenceless people like Pham Thanh Son and his family. This is another example of corruption within the Communist Party. The government took away Pham Thanh Son’s house and could care less what happens to him and his family. 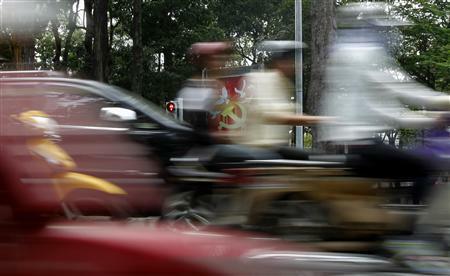 Police in Vietnam described what happened to Son as a typical motorcycle accident, while authorities claimed that he had mental issues. However, my experience with Communists tells me that both of these claims are highly unlikely. If this were true, why would they surround the deceased’s house with undercover police, prevent his family from haveing visitors? An incident similar to this had taken place before, almost fifty years ago. In 1963, the American media reported a major incident where a Buddhist monk, by the name of Thich Quang Duc, engulfed himself in flames to protest Ngo Dinh Diem’s government. Over the past decade however, crucial evidence about the incident has emerged, indicating that the Viet Cong played a major hand in the monk’s actions, orchestrating that event to damage the Diem government. It is ironic now, that someone has decided to burn himself to protest against them. Only this time, it is unquestionably clear who the bad guys are. Pham Thanh Son’s actions represent the feeling of many other people in Vietnam right now. 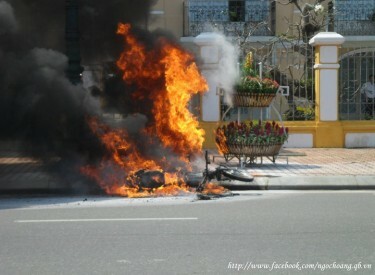 The Communist government continues to abuse their power and disregard the suffering of the people of Vietnam. They have betrayed their people once again, and doing so with blatant disregard for both domestic and international law. What can this mean for the VCP? Democratic revolutions are erupting all across the world. Even China, Vietnam’s gargantuan neighbor, has gotten a taste of it. If the VCP want to keep digging their own graves and push their people towards breaking point, the time will come when they have to pay for it all. Pictures and information about Pham Thang Son’s incident provided by Duy Hoang and Global Voices. The democratic movement, sweeping through North Africa and the Middle East, has actually made it to China, well almost. Less than two days ago, the Chinese Communist Party nearly faced their own wave of protests. Unfortunately, the Chinese government acted quickly to crush the fledgling movement. As a result, much of the gatherings and demonstrations were quelled, long before it gained momentum. Initially planned were 13 protest locations stationed throughout the country. 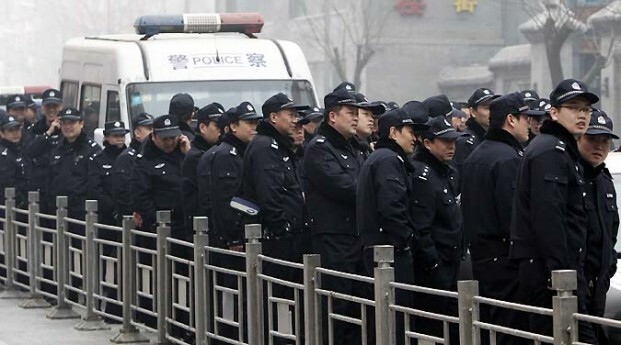 It is not known who was behind the planning of the protests, as it was organized over Chinese social networking sites. Nonetheless, the Chinese government moved swiftly to make sure that this event did not get out of control. Social network sites were shut down, texts were blocked, other things of that nature occurred. 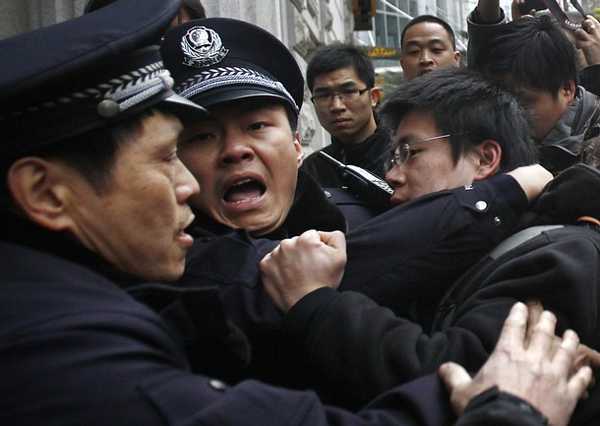 Several people were arrested and detained by police, but the government did not face significant opposition. What just happened in China is a small event. Some people were taken in by the police, a few are actually still missing, but most of the people were sent home or turned away. Many of those involved were actually not aware of the situation and were just curious of all the commotion. In the end, the Communist Party put down the calls for a “Jasmine Revolution” extremely quickly, way before things fell out of their grasp. One should understand the differences between the Communist system and the strongmen the Middle East. What sets the Communists apart from Hosni Mubarak’s regime is the Communists’ extreme emphasis on surveillance, police, brainwashing, and controlling the flow of information. The Communists came to prominence from revolutionary ideals, becoming experts in recognizing and repressing revolutionary forces. These people were born from revolution, specially trained to anticipate, manage, and crush an impending revolution before it even occurs. If the Communists are good for anything, it’s dealing with revolution. Even so, the people can still prevail. 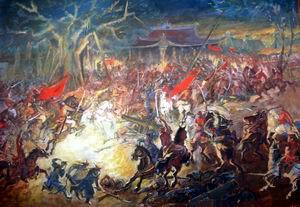 Just because it is relatively harder to spark a revolution in China and Vietnam does not mean that it’s impossible. At the end of the day, the people decide what is best for the country, and no amount of gunpowder can ever change that. When the battle for freedom falls on the hearts and souls of the citizens, guns will become useless. If people are willing to die for their country, a gunshot will mean nothing. Tunisia has shown us, Egypt has shown us, and now Libya will soon show us that under any regime, the will of the people reign supreme. Several weeks ago, Jan. 20, veteran reporter Le Hoang Hung was brutally attacked and left to die inside of his home near Ho Chi Minh City. The intruders broke into Hung’s house, doused him with gasoline while he was still sleeping, and lit the man on fire. Though his family managed to save him from the burns, Le Hoang Hung would die in the hospital, ten days later. It is very possible that Hung’s attack was a result of his journalism, which was critical of the Vietnamese government and the ongoing corruption within the Party. 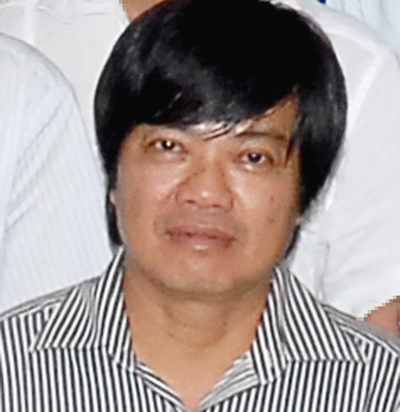 His colleagues say that he covered a wide range of topics in his works, including land disputes, the police, and corruption among government officials and business people. Many believe that the attack was retribution for bringing their shames to light. So much for more freedom of the press. I’ve previously said that actions speak louder than words, now let’s look at what the Communists have done. They said they were going to protect journalists, but guess what’s been happening. Though the murderers were never brought to justice, one can easily tell that the government had a hand in this. Even if they didn’t orchestrate themselves, I’m sure they were the ones who knowingly allowed it to happen. Communists leaders don’t like to get their hands dirty. Instead, they rely on gangs and criminal organizations to do their dirty work for them. It’s a sad fact, but the Communist Party likes to use gang members as scapegoats to carry out their ends. They condemn the actions in public, but behind closed doors, they’re getting what they want. It’s four weeks later and the case is still unsolved. What are the Communist police doing about all this? Well, they’re looking into it. By now, the news of Mubarak’s departure from the Egyptian government has become widespread. 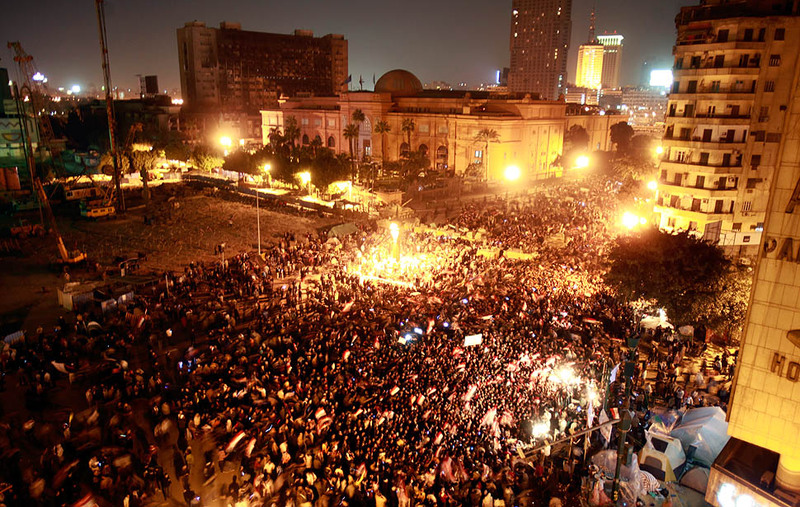 The people of Egypt have won over Mubarak’s oppressive regime, ready to take the country in a new direction. Violent demonstrations that erupted across Egypt have now been replaced with jubilant celebrations and hope. Egyptian flags waved proudly as fireworks illuminated Tahrir Square. 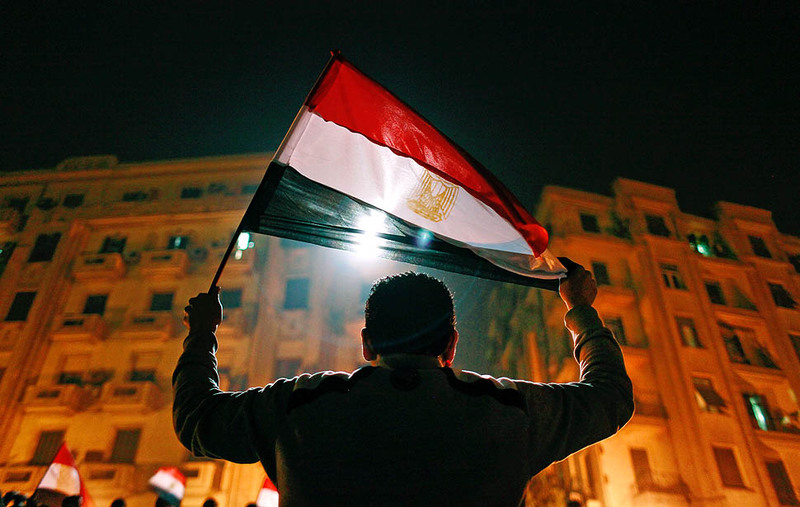 With the world behind them, the Egyptian people are now paving the way for an era of freedom and democracy. It is amazing what the people have accomplished, ousting the autocratic Hosni Mubarak through a peaceful, yet forceful, uprising. The titanic celebrations that took place at Tahrir Square is an inspirational event that marks the end of an era and the welcoming of a brighter future. 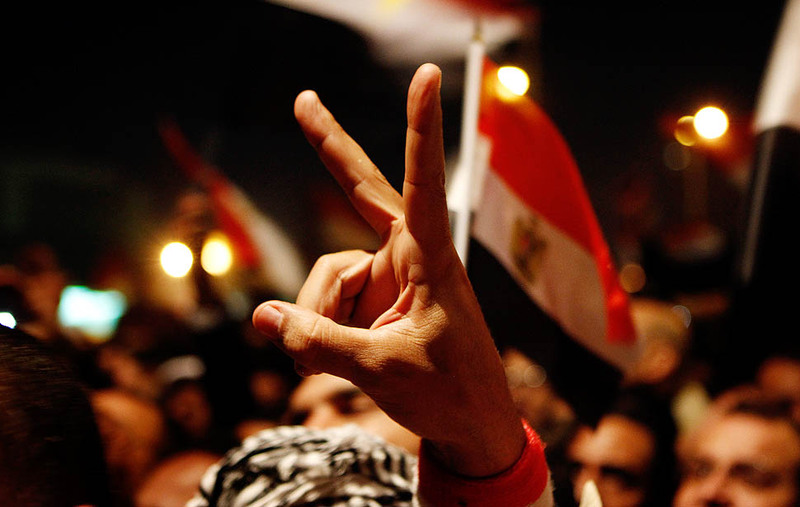 I want to congratulate the the people of Egypt for their achievements and commend them on their courage. Their determination has shown us that, ultimately, the force of heart and the people’s will are much stronger than the barrel of a gun. I view this monumental victory as a guiding light for the people of Vietnam and China. What the Egyptians accomplished here can be a model for the people of Asia to learn from. It is imperative that everyone understand that for a country to truly prosper, the will of the people must reign supreme over all else, including the government. U.S. President Barack Obama once stated that “prosperity without freedom is just another form of poverty.” It is for this reason that in the end, the people must decide what is best for the country. Governments may rise and fall, but the people are never wrong. Photographs acquired from The Los Angeles Times. Simply beautiful.